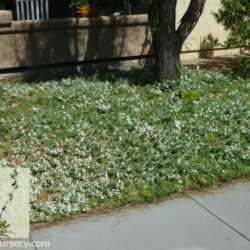 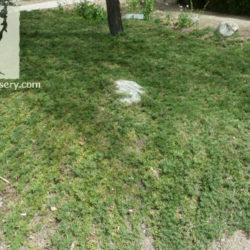 Myoporum is a long-used evergreen groundcover that is being rediscovered as a fantastic landscape plant for the xeric southwest. 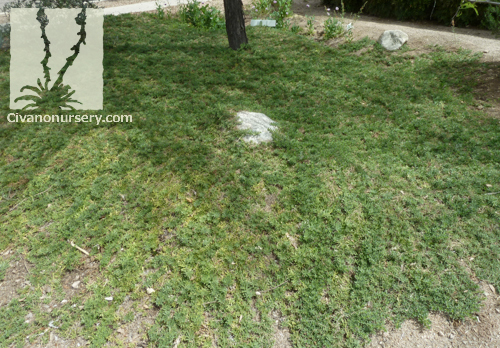 Its spreading, succulent stems are densely packed with small, light green leaves, and they quickly take root anywhere they touch the ground if moisture is available, forming a thick mat wherever they spread. 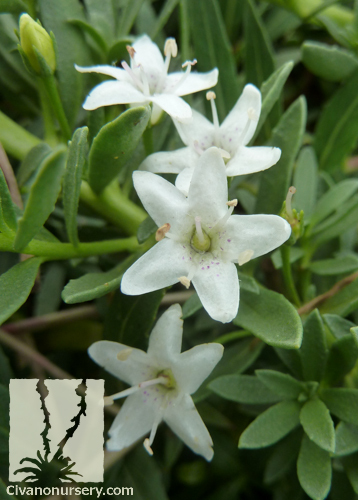 Once established, Myoporum is very drought tolerant and grows quickly, making it an ideal choice for erosion control along banks and slopes. 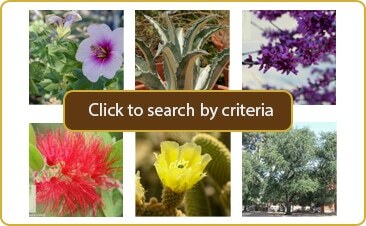 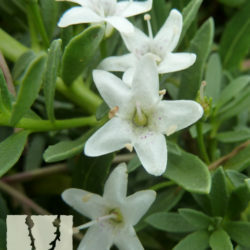 Its small white flowers appear in spring and summer with a light, sweet fragrance that is reminiscent of honey. 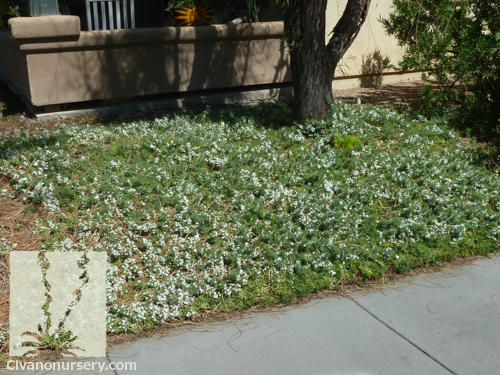 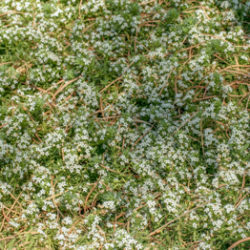 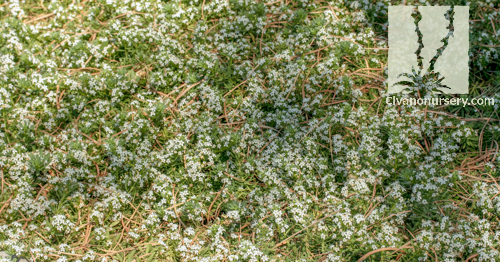 Plant this neat-looking groundcover in well-drained soil wherever you’d like to have a year-round carpet of green!